Breaking up is always hard. But breaking off a decade-long relationship is especially difficult. So if you have Twitter thumbs, you may need to brace yourself because rumors are circulating that Twitter may soon be breaking up with the “Like” button. This one-click affordance—recently changed from a star to a heart in 2015—has been a mainstay since the social media platform’s genesis. Removing the Like button would radically alter how users interact on Twitter. Perhaps it is time for a conversation to be had between scholars of religion and Silicon Valley. To explore the potential benefits of such a dialogue, let’s consider what one figure from the study of religion—the late René Girard, who coincidentally spent the last years of his academic career not too far from Silicon Valley—would have to contribute. The insights of Girard may help explain why the Like button is increasingly being seen as problematic. Girard—literary critic, anthropologist, and religious studies scholar—is renowned for developing the concept of mimetic desire. According to Girard, human desire is cultivated by imitating the desires of others. We look to others as models of behavior to determine what is desirable to us. We don’t desire an object for its own sake but because another finds it desirable. Desire is not spontaneous, it is contagious. Desire is never direct, or pure, but always mediated. Girard, in Deceit, Desire, and the Novel, explains it this way: “The mediator is there … radiating toward both the subject and the object. The spatial metaphor which expresses this triple relationship is obviously the triangle. The object changes with each adventure but the triangle remains” (2). Twitter’s Like button—and similar one-click affordances on other platforms—capitalize on the mimetic nature of desire. The Like button is a clear and visible signal revealing what others desire. The more a tweet is liked, the more desirable the content or the viewpoint of the tweet becomes. To use Girard’s triangle illustration, the ability to Like something on Twitter mediates our interactions on the social media platform. Further, and perhaps hardly surprising to many, researchers have found that this form of simple, one-click communication doesn’t promote well-being—“Likes” don’t translate to happiness. According to an article in the Journal of Computer-Mediated Communication by Moira Burke and Robert Kraut, “simply reading about friends, receiving text communication from weak ties, and receiving one-click communication did not affect well-being, while receiving personalized, effortful communication from close friends was linked to improvements in well-being.” While their research focused on Facebook, these findings are easily translated to Twitter. This research suggests that social media features which highlight mimetic desire don’t in turn promote human flourishing and happiness. Silicon Valley is presently dismayed by the volume of envy, rivalry, and hatred generated on its platforms, and they’re facing increased public pressure to solve this problem. Is it possible that religion can help solve our social media crisis? If the devil actually lives in our phones, then perhaps Silicon Valley should consider calling on religion scholars for help. 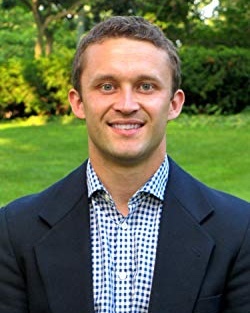 Author, A. Trevor Sutton (@atrevorsutton), is a PhD student at Concordia Seminary in St. Louis, Missouri. He is co-author of Authentic Christianity: How Lutheran Theology Speaks to a Postmodern World (Concordia Publishing House, 2017). You can find out more at www.atrevorsutton.com.